"Memorial Day Order" General Orders No. 11,Grand Army of the Republic Headquarters. I. The 30th day of May, 1868, is designated for the purpose of strewing with flowers, or otherwise decorating the graves of comrades who died in defense of their country during the late rebellion, and whose bodies now lie in almost every city, village and hamlet churchyard in the land. In this observance no form or ceremony is prescribed, but Posts and com­rades will, in their own way arrange such fitting services and testimonials of respect as circumstances may permit. Legionnaires and friends of Veterans in Michigan. Saturday and Sunday when you have to run to one of 66 local ACO Hardware stores please give and fill out one of these cards. The donation will send returning service members on relax weekends when they return to reconnect with their families. 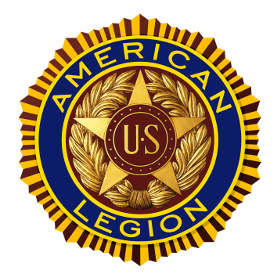 FARMINGTON, MI (May 21st, 2012)- The American Legionnaires and Ladies Auxiliary of Farmington Post 346 would like to give a heart-felt Thank You to the communities of Farmington and Farmington Hills for helping to make this year's Poppy Days a success. It's hard to imagine that a little crepe paper flower can do so much good. Each poppy is hand made by hospitalized and disabled veterans who are paid a small amount for each one, for some this may be their only income. Attending with Representative Moss will be Senator Pappageorge and Representative Marty Knollenberg. Additional parking across street from the Post. Rep. Moss represent residents of Bloomfield Hills, Birmingham, Keego Harbor, Orchard Lake Village, Franklin, Bingham Farms, Beverly Hills and Sylvan Lake in the 40th District. Will be holding a Veterans Town Hall meeting Monday May 7th, 2012 at 1 p.m.
Veterans are encourage to attend to ask questions about the issues facing our Michigan Veterans. Legionnaires in the 8th District are asked to attend.